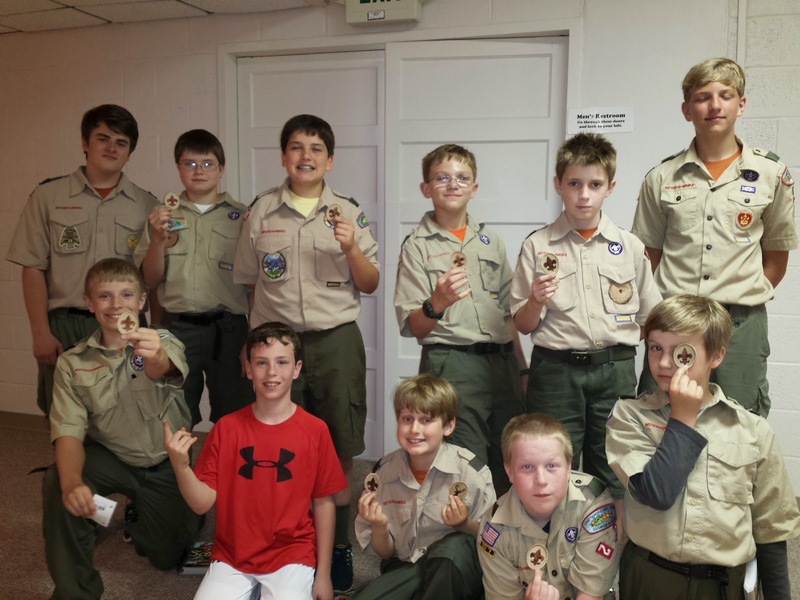 Troop 50's meeting this past Monday focused on geocaching, in which participants use a Global Positioning System (GPS) receiver or mobile device and other navigational techniques to hide and seek containers, called "geocaches" or "caches," anywhere in the world. A typical cache is a small waterproof container containing a logbook where the geocacher enters the date they found it and signs it with their established code name. After signing the log, the cache must be placed back exactly where the person found it. Larger containers such as plastic storage containers or ammunition boxes can also contain items for trading, usually toys or trinkets of little financial value, although sometimes they are sentimental. 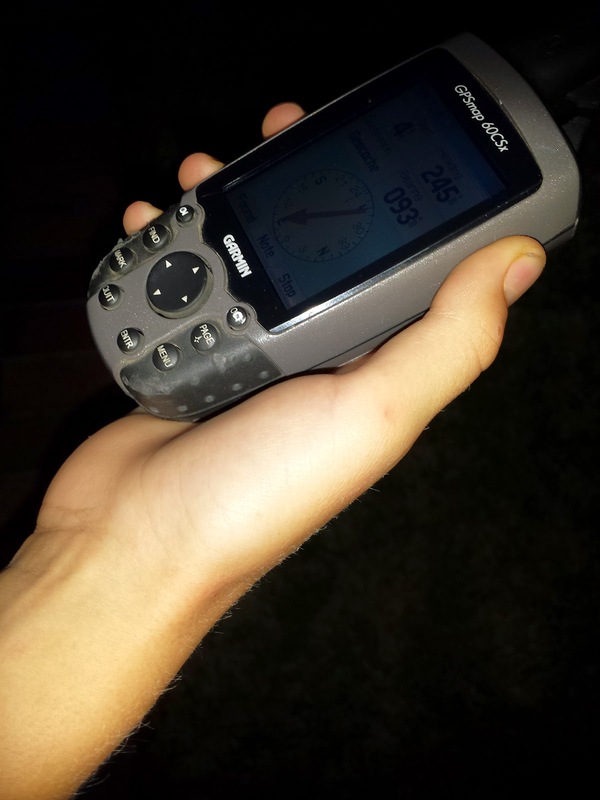 The sophisticated, GPS-based treasure hunting activity has grown in popularity since its start in 2000 to include more than 2.37 million active geocaches and more than 6 million geocachers worldwide. A number of geocaches exist in the Auburn-Opelika area, with heavy concentrations of them on the Auburn University campus, at Chewacla State Park, and at the Louise Kreher Forest Ecology Preserve. 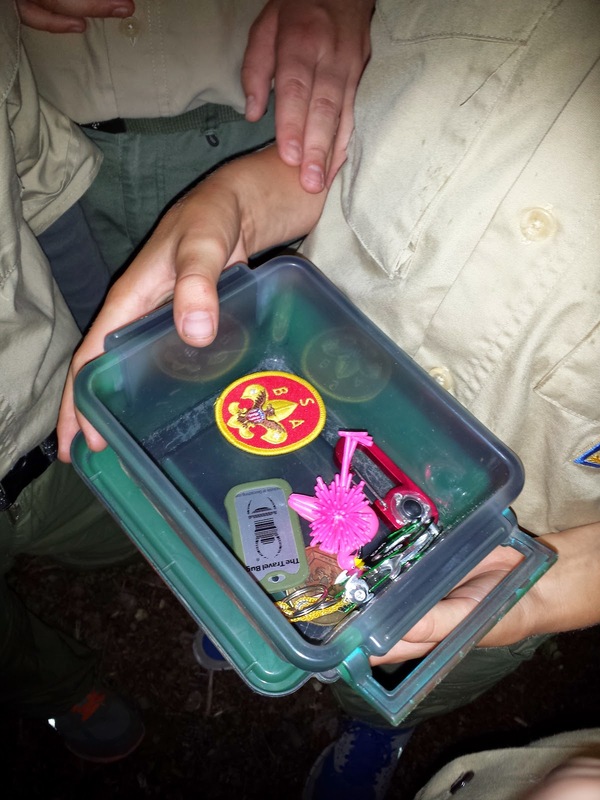 Scoutmaster Baird provided each patrol with the chance to test out GPS receivers and the patrols' ability to locate a temporary geocache around the church. Each patrol was successful in finding the cache at the end of the electronic scavenger hunt, and there will be more opportunities to put their new-found skills to the test during the May 9-11 campout at the Forest Ecology Preserve. For additional resources about geocaching, visit geocaching.com's Geocaching 101 page. Both free and paid apps exist that will turn your Android, Apple or Windows smartphone into a geocaching device. Clayton, Everett, Jason, and Joe; (back row) Ryan, Creighton, Liam, and Everett. 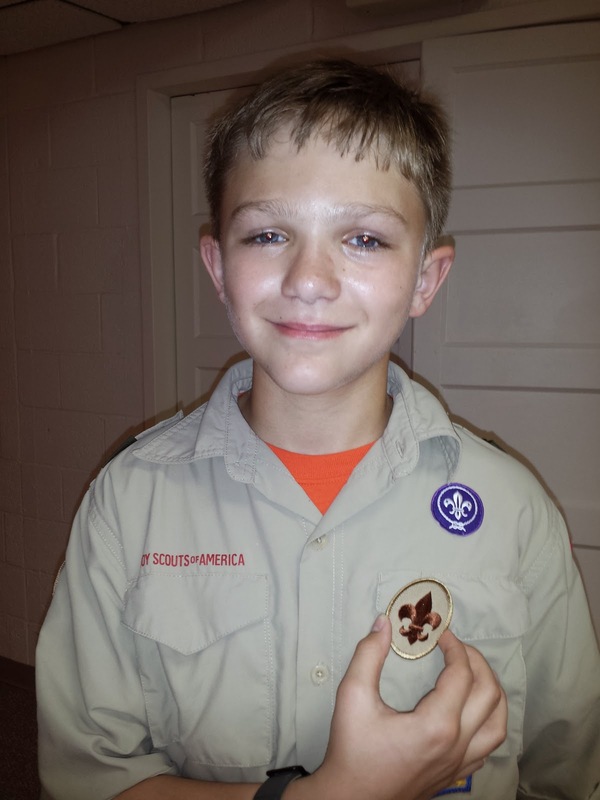 Following the geocaching segment of the meeting, the troop took the opportunity to honor many of its recently added Scouts with the presentation of the Scout rank through an informal court of honor. To earn the rank, Scouts reaffirmed much of the same knowledge and the ability to recite the Scout Oath and Scout Law they had to complete in order to earn the Arrow of Light.